Clever is synonymous with intelligent, skilled and ingenious. TECHNOLOGY has decided to combine this adjective with the type and mode of tool change applied to its punching machines. 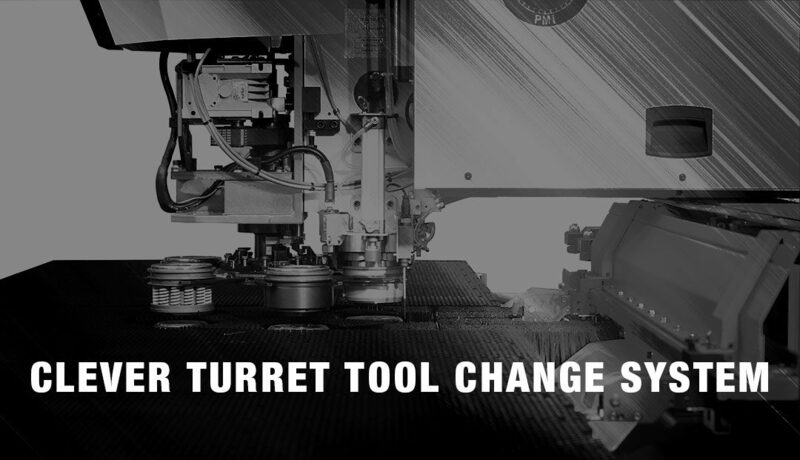 The CLEVER TOOL CHANGE SYSTEM is an innovative tool change system applied to all TECHNOLOGY punching machines, from those with manual transmission to automatic, which completely revolutionizes the concept, based on the use of containers having a self-centering system allowing rapid engagement of the tool in the head of the machine and ensuring a perfect fit. In the machines of the Alpha line, mono-punch, semi-automatic, the speed of change remains of fundamental importance especially for those machining that require tools for deformation or large dimensions: tools and / or multi-tools are housed in just 12 seconds, a characteristic that makes TECHNOLOGY machines unique in their kind.. In the automatic machines of the Omega and Zeta lines, this system, horizontal for the first, vertical for the second, has revolutionized the concept of turret. In addition to having the sole function of transporting the tools until they are hooked to the punching unit and therefore remain free of the same, each station can house any type of tool or multi-tool, which, as for the Alpha, are housed in 12 seconds, while the tool change, or the transition from one station to another during processing, takes less than 3 seconds. Moreover, thanks to the FULL AUTO-INDEX system, integrated inside the punching unit and completely CNC controlled, present in all Technology punching machines, all tools or multi-tools and all the tools contained in them can be oriented from 0 ° to 360 ° with a rotation increment of 0.01 ° and a centesimal precision. 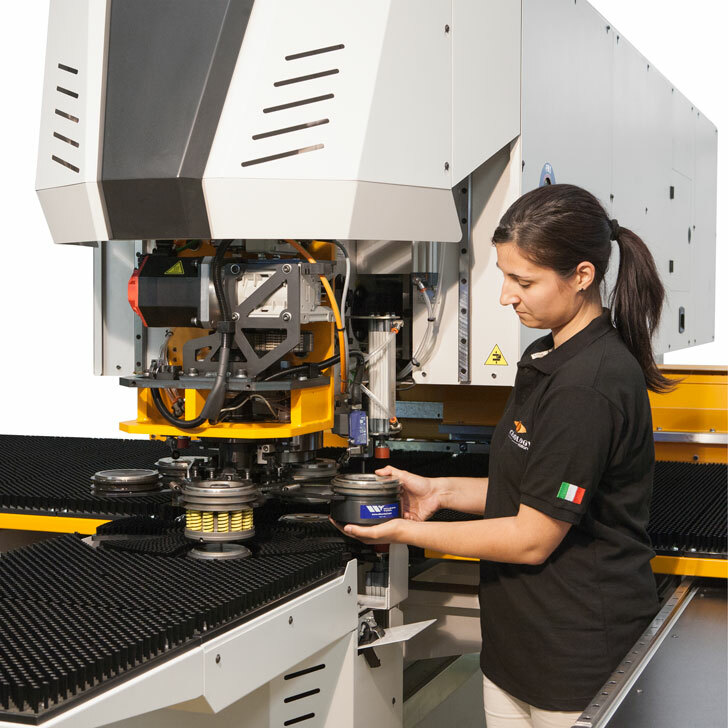 The unrivaled advantages of the CLEVER TOOL CHANGE SYSTEM and FULL AUTO-INDEX are the speed and reduction of tooling costs, the considerable configuration flexibility, the ease of programming and the undisputed superiority in production times that on the market do not know competition.